We offer this subject at two levels: Entry and GCSE. In both cases the course is a combination of classroom-based written work and a practical activity which can be car driving, moped riding or both. It is offered to students in Year 10 and/or 11. This Entry Level qualification is validated by the WJEC in Wales. The assessment is by coursework (25%), a written project (5%), examination (20%) and either a car driving or moped riding test (50%). This GCSE is validated by CCEA the Northern Ireland examination board. It can be taken at either the Higher Level (A* to E) or Foundation Level (C to G). 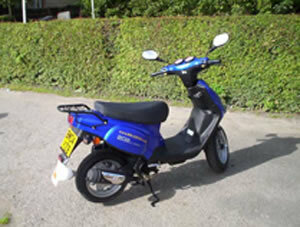 It is assessed by examination (60%), a written project (20%) and a practical moped riding test (20%).